In June I visited Jason Anthony Pannone, the librarian at the Harvard Philosophy Department’s Robbins Library. Jason offers individual and group tutorials on locating materials in Harvard libraries. He gave me a number of tips on using the extensive Philosophy Resources at Harvard. I was carrying Ted Honderich’s huge Theory of Determinism, and Jason mentioned a recent post on his Robbins Library Notes blog about the spat between Honderich and Cornell philosopher Colin McGinn. 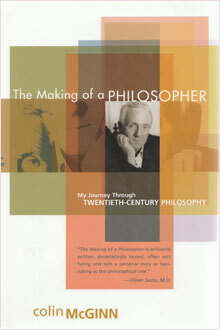 I picked up a copy of McGinn’s popular “The Making of a Philosopher,” which follows McGinn from his undergraduate degree in psychology and an interest in Continental philosophy, especially Edmund Husserl, to his years in the center of Anglo-American Analytic (AAA) philosophy, from winning the John Locke Prize at Oxford to becoming a professor in the U.S. at Rutgers. McGinn contrasts the perennial static condition of philosophy with the dynamic growth of science, with a wry comment on older scientists (like me) who venture into philosophy. McGinn describes three views of philosophy. the traditional Platonic realm of elevated and profound study of ultimate reality, the soul, etc. 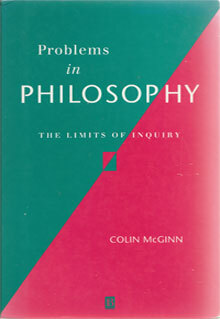 McGinn developed his mysterian ideas in his 1993 book Problems in Philosophy: The Limits of Inquiry. Then he wrote a popular treatment in The Mysterious Flame (1999). On the contrary, I found McGinn’s CALM methodology quite congenial for understanding the classic “free-will” problem, in many ways because of the strong analogy with the process of evolution by gene variation and natural selection that works for him as an explanatory theory. And what is Will but the choice of an adequately determined mind acting in accordance with its character and values, making “lawlike mappings” of those fortuitous opportunities? In our Cogito model, “Free Will” combines two distinct conceptual “atoms.” Free is the chance and randomness of the Micro Mind. Will is the adequate determinism of the Macro Mind. And these occur in a temporal sequence. Compatibilists and Determinists are right about the Will, but wrong about Freedom. Libertarians are right about Freedom, but wrong about the Will. McGinn’s career as a professional philosopher turned on such a moment of freedom. He was awarded the prestigious and remunerative (£150) John Locke Prize at Oxford. How he came to get it is a semi-causal chain started by a free action we should see as causa sui. McGinn atttended A. J. Ayer’s class in which a single book would be elucidated in the course of the term. Can you see the causal chain? Ayer picks out the one raised hand to lead the next discussion. He says “Very good.” He asks McGinn to invest £50 in a typed manuscript. McGinn, or it, is “worth it.” He claps McGinn’s back at the John Locke lecture. Can you see the alternative possibilities? What if four students had raised their hands? Ayer might have selected the one closest to him to start next week. Can you see the free action? McGinn raised his hand! There might have been others who read Quinton who did not. They did otherwise, as McGinn could have done otherwise. McGinn’s reaction says it all. I went back to read more of McGinn’s technical discussion of the free will problem in his Problems in Philosophy, and wrote him up for the Information Philosopher.